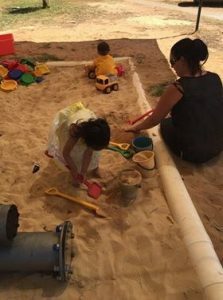 KindiLink is a play-and-learn initiative for Aboriginal three year old children who attend with a parent/carer. At Boulder PS, we welcome both Aboriginal Australians and non-Aboriginal Australians into the program. KindiLink is designed for children in the year before they start Kindergarten. Children attend with a parent/carer for six hours a week. KindiLink offers high quality play-and-learn sessions for children and their parent/carer at no cost to families. Families are supported by a teacher and assistant to be actively involved in the activities with their children. Where there is room in the program, younger members of the family may also attend with the three year old child. Children and families from outside of Boulder Primary’s catchment area are welcome to participate in KindiLink. Families can sign up for KindiLink at Boulder Primary School at anytime in the year. Come to the front office and collect an enrolment form. Build the capacity and confidence of parents/families/adult caregivers in their role as their child’s first teacher. Build productive relationships between the family, the school and the community. Improve attendance among children during their schooling. 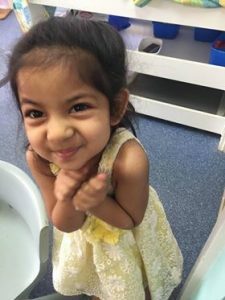 We have noticed a significant difference in Kindergarten between the children who attended KindiLink, and the children who did not. Attending KindiLink gives you and your child a head start in their education.